Pressure washing, it can be one of the small things that will make a huge difference in the overall look of your home or business. As the number one power washers in the city, Fredericksburg Pressure Washing is ecstatic that our customers continue to choose our services for their residential or commercial operations. With over a decade in the business, we have grown to be one of the leaders here in Fredericksburg, VA, and now is the prime time to take advantage of our amazing deals. With our team there will be no need to worry; we will be able to spruce up your location with ease, and all without disrupting your day. With our team you will be enjoying residential, commercial or industrial power washing at a fraction of the pricing of the other guys, and all with a better result. 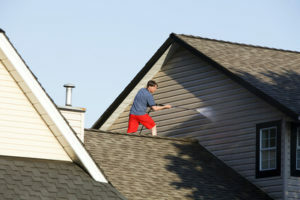 We will also work hard to ensure that your business or home is not effected during our cleaning efforts. As well, we work with all environmentally friendly cleaning products, and will make sure that the site is clean and safe to operate on by the end of our service call. Call or click today 540-692-1162, and see why we are the premier choice for pressure washing services right here in Virginia. 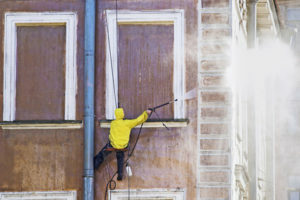 Residential properties can be some of the toughest locations to take care of; no matter if you are a homeowner, renter or have invested in real estate; amazing pressure washer services can be a life saver. Now is the time to see why thousands of clients have already chosen our pressure washing services for their home. We are true precision experts with our machines, and with a power washer and our skillful eye, dirt will no longer be present on any of your surfaces. 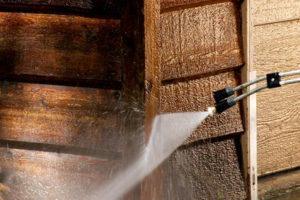 Only with our team will you feel confident that our home pressure washing services will get the job done. Call today 540-692-1162, and see why we are the true experts when it comes to all things pressure washing. When you are looking for a great power washing company, the only choice in the Fredericksburg, VA area is Fredericksburg Pressure Washing. We have been able to corner the market due to our advanced techniques and use of high quality cleaning products. Each and every one of our chemicals we use have been tested by the Food and Drug Association, and keep to strict environmental standards. This means that your child, or dog will be able to safely play outside immediately after, or even during our cleaning of your home. With our commitment to safety and environmentally friendly products, you will need not look to for other options for your pressure washing services. When it comes to getting things done the right way, the only place to look for your power washing is our team. Our team has worked long and hard to establish our name, and we are proud of the work we do in our community. 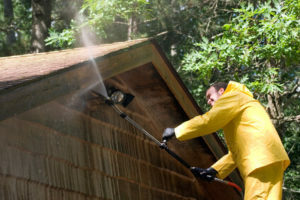 Fredericksburg Pressure Washing has experience on a number of homes, and will be able to clean everything from cement to wood. We know the exact amount of pressure it takes to clean, and will ensure that your home is left clean and safely intact with our services. If you have been thinking about home pressure washing, we are the only name you will need to remember. Call our team today 540-692-1162, and experience the difference that true quality can make at your residence today. Our commercial clients are some of the most important aspects of our business, as a clean storefront can be a difference maker in closing that next important sale. Our team has established an amazing relationship with some of the largest businesses here in Fredericksburg, VA and have loved every minute of it. 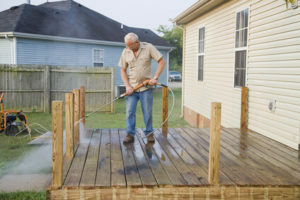 With our team you will be getting the top rated power washing services in Fredericksburg at a fraction of the other guys. 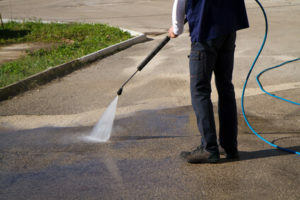 When you are looking to spruce up your business, the only choice is our team located right here in Fredericksburg, VA.
Our team has worked long and hard to establish our name, and when it comes to pressure washing we are the premier choice here in Virginia. 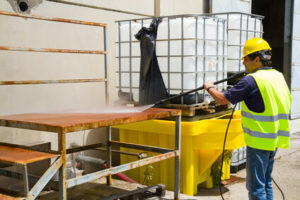 Our team has been trained to be able to treat any surface, everything from wood to cement will be able to be thoroughly cleaned right the first time. No more issues of a pressure washing destroying your property, our team is trained right, and will ensure that your property is not only clean but free of any damage. 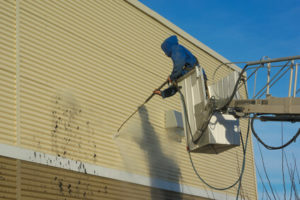 Now is the time to take advantage of our amazing deals and experience the best power washing services right here in Fredericksburg, VA for your commercial business today. 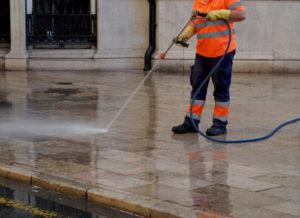 When it comes to power washing services, the only team that will be able to successfully complete your commercial site with confidence is us. We have been working with our tools and chemicals for some time, and will be able to confidently clean your property with ease. All of our chemicals are environmentally friendly, and we will ensure that no left over residue is evident around the property. If you have been looking for an award winning pressure washing company here in Fredericksburg, VA, the only place to look is for our amazing truck and people. Call today 540-692-1162, and secure your businesses cleanliness future. 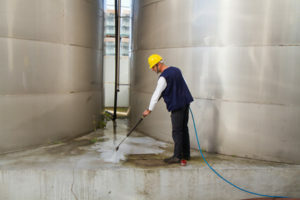 Here in Fredericksburg, VA we know that industry needs a little special treatment, and this is why we are proud to offer our award winning industrial power washing services to you. With over a decade of experience and some of the top of the line machinery, are true expert power washers will be able to clean your job site no problem. 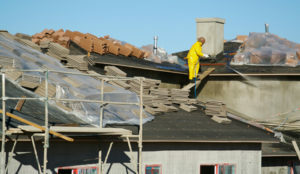 Now is the best time to give our experienced team a call and enjoy a clean and safe job site. Our team is ready and waiting, with our years of experience you will be thanking yourself you trusted cleaning your site to us. With our summer schedule quickly filling up, our team will be more than willing to fit you and your industrial company in today. Our team has worked hard to establish our name in the business, and because of this we bring a special touch to each of our job sites. 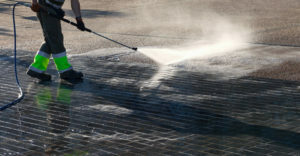 Fredericksburg Pressure Washing will work hard to establish the cleanliness of your site, no matter the industry. We have worked on construction, slaughter houses and even executive offices, and no industrial job will be too big or small for our team. A clean factory floor, or office space is integral to an amazing workplace, and we can make that happen. When you choose the certified experts, we will deliver each and every time. Call today 540-692-1162, and see the difference that our true professionals can make on your site with our amazing power washing today. As a local company we know the hard work that you put forward in the community, and we want to reward our fellow businesses with our amazing industrial pressure washing deal. Our company only hires local, and on top of that puts an emphasis on local or national products for our cleaning services. As well, we work to make sure our chemicals are environmentally friendly, as we are sharing this Earth with all of you as well. Now is the time to take advantage of our amazing deals, and call to secure your industrial power washing rate today 540-692-1162. We are ready and waiting, and when you choose us, you are choosing a company that truly cares about your company’s image. See why we are the difference maker in Fredericksburg, VA when it comes to all things pressure washing. Our team is extremely excited with our product, and when you are looking for power washing we look to be the only name that you need to know. Our services offer an environmentally friendly product, that will successfully clean your even toughest messes. We have worked hard to establish our brand here on the East Coast and will continue to work hard for our community. When you choose our services, know that our team is locally hired, and we will continue to focus on employing the hard working people of Fredericksburg, VA. We are proud to serve our community, and will continue to work hard to clean and brighten up the clients we serve. We are now offering residential, commercial and industrial power washing, and with our team by your side you will be enjoying some of the finest work and home sites on the East Coast. Call today 540-692-1162, and see the difference a power washing company can make to your home or business today!